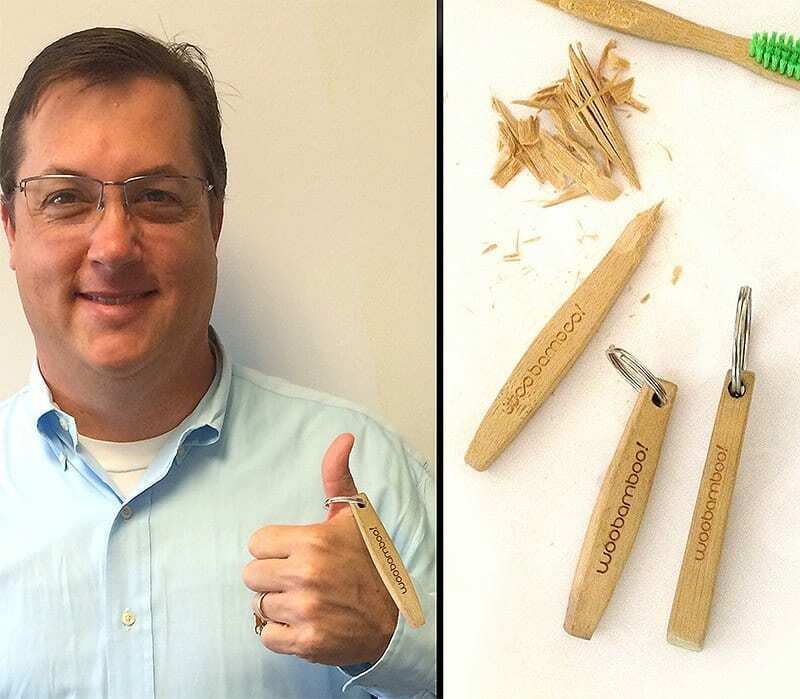 Old Toothbrush, New Ideas - WooBamboo! Well, first, you replace your toothbrush with a NEW WooBamboo toothbrush! Now it’s time to do some cool stuff with your used bamboo toothbrush starting with the bristles. Your bristles are made of recyclable material – Recycle Them!! Step 1: Go find your tweezers or (better yet) a pair of pliers. We’ll wait til you come back….. Step 2: So you don’t lose the bristles, get something plastic that you are going to recycle already and put the bristles in there! It’ll keep them confined. Step 3: Pull the bristles from your toothbrush by grabbing just a few at a time with your tweezers or more with pliers. Once the process starts, it gets easier! Welcome to Your Multi-Use Bamboo Handle! Our favorite thing to suggest to plant enthusiasts is to use the handle as a growth guide for new plants! Set it vertically in the soil next to a plant and watch the plant grow tall as the bamboo staff helps keep the plant from drooping over! Since the bamboo is all-natural, it won’t cause harm to the roots! Drill a hole in one end, add keys and never lose a set of keys again! Hey! Building a Science Experiment and you need something 7-1/4” long, sturdy, safe and reliable? Speaking of science experiments…. Bury your handle in the garden or yard and check on it every month. Watch the biodegrading process!! Pets! Don’t forget our furry friends! Pets love bamboo! Bamboo is incredibly strong and non-toxic to dogs, cats and horses! WooBamboo toothbrush handles have been cut, shaped and sanded, so NO splinters! Instant toy for those bonding moments! Hey, cats will chase and chew on anything you throw down the hall! We don’t have ALL of the ideas, so we turn you to, Bamboo Nation!! Give us your creations. Write to us or send us your pics! We’ll add them to our website! You’ve already received and used a great product – Make Something New! It’s YOUR turn to Innovate. Inspire. Change the world. I love the articles on your website! They are so funny! Wow, these toothbrushes look great! I had no idea they made toothbrushes from bamboo. Thanks for sharing your review of them.